Description: I was asked to create a logo and matching letterhead for a person or company. 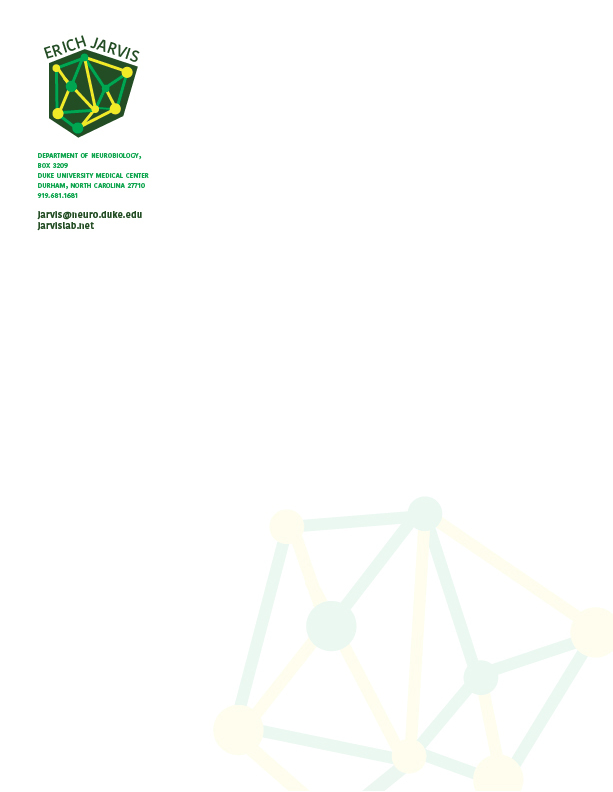 Process (Programs, Tools, Skills): I used Adobe Illustrator to create the logo and letterhead. I started by first brainstorming different ways to visually represent neurobiology. Since I did not know very much about the field, the part took a bit of time. I then began to put together different ideas and concepts. I created an illustration of ‘neurons’ that would act as the core of my logo. I then structured all the type elements using careful detail to group and space the content in a clear way. I wanted to make sure that the idea worked on both the logo and the letterhead and felt cohesive. 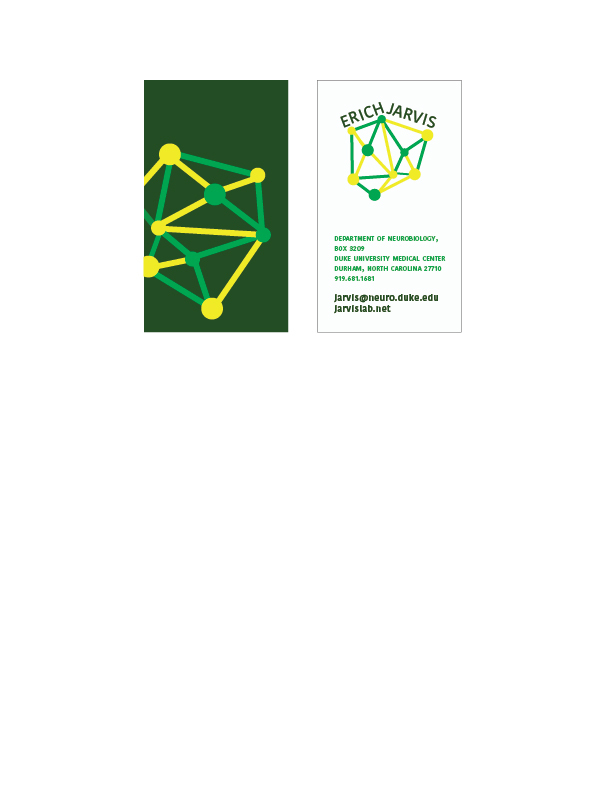 Message: The message would be that Erich Jarvis is a neurobiologist and researcher. 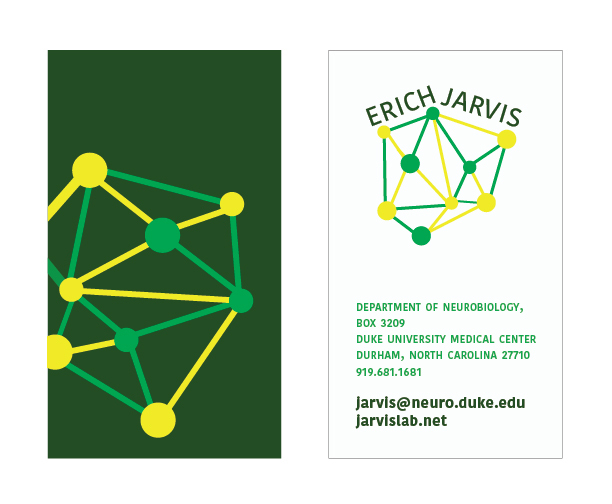 Audience: The audience is anyone who is interested in neurobiology or specifically the research of Erich Jarvis. Top Thing Learned: I learned that an idea that some ideas are much more difficult to communicate visually. I though it would be clever to take the concept of a microscope slide with a label and use that for the illustration and contact information. Since I was working with a clear object (glass) mainly, it was difficult for my viewers to see what I thought I was portraying at first.